Paper floor mats are a perfect example of why we should never take for granted the simple things. You’re probably wondering, do I really need these sheets of papers? Pop quiz. Do you want your cars to remain dust and dirt-free during test drives? 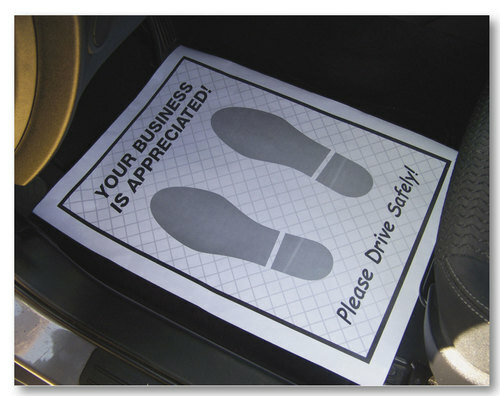 Do you want to subtly remind your customers about safety? If you answer “Yes” to any of these questions, then you definitely have to get some floor mats for cars. If you answer “No” then I’m not so secretly judging you. Automotive Hang Tags: Why Even Bother?